After the State Duma approved the resignation of Deputy Yelena Vtorygina, the Central Elections Commission should decide if the ex-speaker of the upper house Sergey Mironov will take her position. ­The lower house of the Russian parliament on Wednesday gave the green light to the resignation of a deputy from the Fair Russia party’s faction, Yelena Vtorygina. The MP has volunteered to give her seat to the former speaker of the upper house Sergey Mironov. He was recalled as a member of the Federation Council by deputies of the Legislative Assembly in St. Petersburg on May 18 and, as a result, lost the third-most-important position in the state hierarchy. Vtorygina’s initiative allows Mironov to move to the lower house. The Fair Russia leader led the party’s list during the latest State Duma elections, and could become its deputy back in 2007, but he chose to retain the post of the upper house speaker. Deputies of the rival United Russia party in St. Petersburg parliament initiated his recall last month, saying he had failed to defend the city’s interests and to support local deputies’ initiatives. Mironov stressed the political attack against him is explained by the forthcoming parliamentary elections due in December. 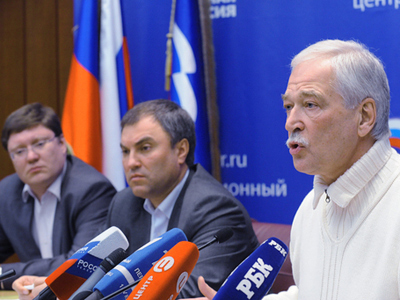 Communist Party and the Liberal Democratic Party (LDPR) deputies supported the recall. 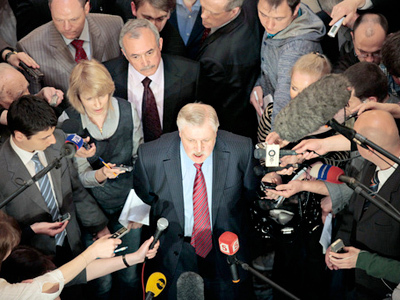 LDPR leader Vladimir Zhirinovsky also opposed the transfer of the deputy seat from Vtorygina to Mironov. The State Duma is not a nursery school, he explained. “You come, you take our seat and then you quit for no reason,” he said. However, according to the parliamentary regulations, a deputy has the right not to name the reasons for the resignation. Vtorygina is going to become the head of Fair Russia’s branch in Arkhangelsk Region. As for her mandate, the Central Elections Commission (CEC) will decide on the substitute for Vtorygina’s seat in a period of two weeks. 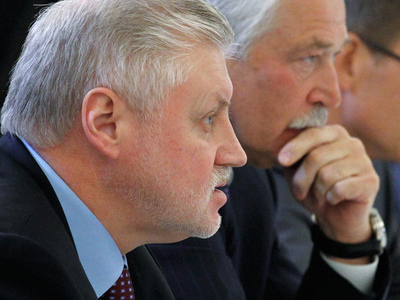 So far the CEC has not received the documents for passing the seat to Mironov. But its officials do not rule out that the decision may be taken next Wednesday. 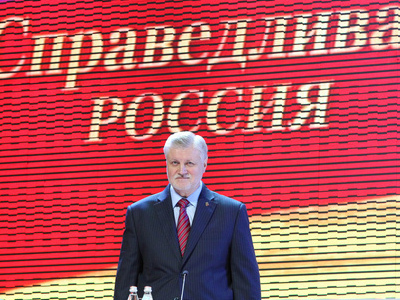 Deputies of the United Russia faction in the St. Petersburg parliament have started consultation on a substitute to Mironov in the upper house. According to legislation, members of the Federation Council are appointed by local legislative bodies. The former speaker has warned that as a State Duma deputy he will step up his criticism of the ruling party. 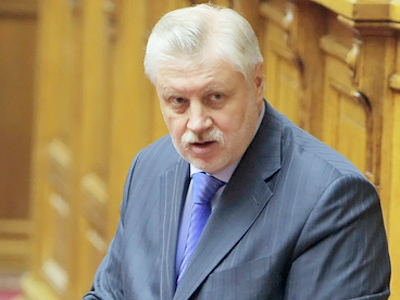 Mironov may head the party’s faction or even become the parliament’s deputy speaker if his credentials as a deputy are confirmed. Now officials are obliged to submit declarations about their incomes and property, Mironov recalled. But they should also reveal information about their privileges and benefits, he stressed. “Let society decide if these privileges are grounded,” the former speaker noted. He cited an example of flashing lights on officials’ cars. Many see this privilege because nobody can hide it, but there are “more privileges that are unknown to society,” Mironov stressed.